When Windows 10 rolled out, Microsoft included Windows Defender (Anti-Virus) with it. So I thought, “Oh cool, Windows comes with free anti-virus”. And it’s free! but is it such a great deal? Is it good enough anti-virus I can trust to protect my business? Well for most of the business owners I know, FREE is a very good word. Anything they can get for free the better. But what will it cost them if their company should get a piece of ransomware that encrypts all of their company files? Or a virus that emails all of their clients more copies of the virus. How much does that “free” software cost then? This happened to someone I know about a year ago. They contracted a piece of ransomware from and email that encrypted all their office documents on the network, and in every folder was included a little note informing them that they could get their files decrypted for a very reasonable fee of $5,000. Today, malware and cyber attacks are an everyday occurrence. One report shows that malware costs US businesses over $491 billion in 2014 alone. And I expect to see more cyber threats in the next few years. Given this fact, one doing a simple cost-benefit analysis should conclude that the benefits of professional virus/malware protection far outweighs the cost. Okay, so what anti-virus/anti-malware software should I get? Which is the best? The plain answer is Eset. Even before working at Tricom I used Eset. It is far above the best anti-virus I have ever used. Partly because of performance. It never slows down my computer, unlike other anti-virus software I have used in the past. And partly because it is so good at catching threats and stopping them before they even reach your PC. Now full disclosure, we at Tricom are resellers of Eset. 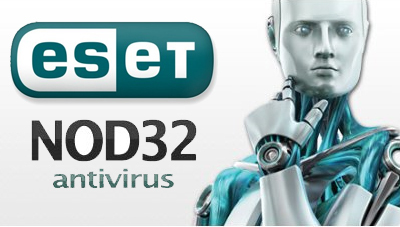 We sell Eset because we think it is the best and we recommend it to all of our clients. We use it on our personal home computers as well as all of our work computers.